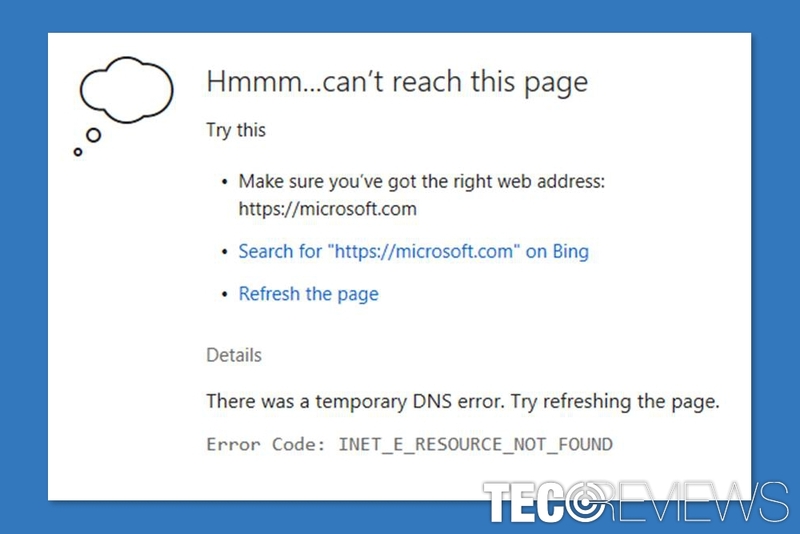 INET_E_RESOURCE_NOT_FOUND is an error message that might show up on Windows 10 computers when users are browsing the web with Microsoft Edge. The problem has occurred after the installation of Creators Update. On Microsoft forums, users report that they are unable to connect to various websites, including bank, entertainment or even homepage. Nevertheless, the issue was noticed since May; users are still dealing with the same problem until October. Microsoft hasn’t solved the issue yet. However, IT specialists share some tips and how to fix inet_e_resource_not_found error and continue browsing the web normally. Since May users report about being unable to access websites, they had no problems to use before. For instance, they cannot access their online bank account, Netflix or even browser’s homepage. When connectivity problems occur, users usually check their Internet connection settings, restart the router or assume that particular website is simply not working. However, in this case, some users were able to access restricted websites using other web browsers, including, Chrome, Firefox or Internet Explorer. Thus, there’s no doubt that the source of the problem was not Internet connection or websites. Some Windows 10 users report that inet_e_resource_not_found error appeared on Google Chrome, Mozilla Firefox and Internet Explorer too. Thus, it seems that this Creators Update bug might disturb other web browsers’ performance too. However, in general, it’s a Microsoft Edge error. 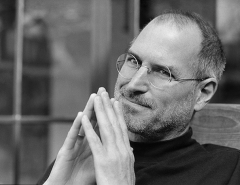 There are two major solutions that can help to solve the inet_e_resource_not_found error. One of them requires disabling TCP Fast Open feature; another – reinstalling Microsoft Edge. Type bout:flags in the address box. Find TCP Fast Open and remove the tick next to it. Restart the browser. Now you should try to access websites that you were unable to visit before performing this procedure. Hopefully, the error is gone. Otherwise, you should opt for the second method. Starting fresh sometimes helps to solve various problems. Therefore, you can try to reinstall Microsoft Edge. This method always helps to solve other issues, such as browser crash or slowdowns. Thus, the inet_e_resource_not_found problem should be solved as well. If you are using Microsoft Edge, close it. Open File Explorer and click on a View tab and check the box near Hidden items box. This step is necessary because you will have to open folders that are hidden by default by Windows. Navigate to this location (additionally, you can copy and paste it using Run command box):C:\Users\UserName\AppData\Local\PackagesNote. You have to replace text “UserName” with your user name. 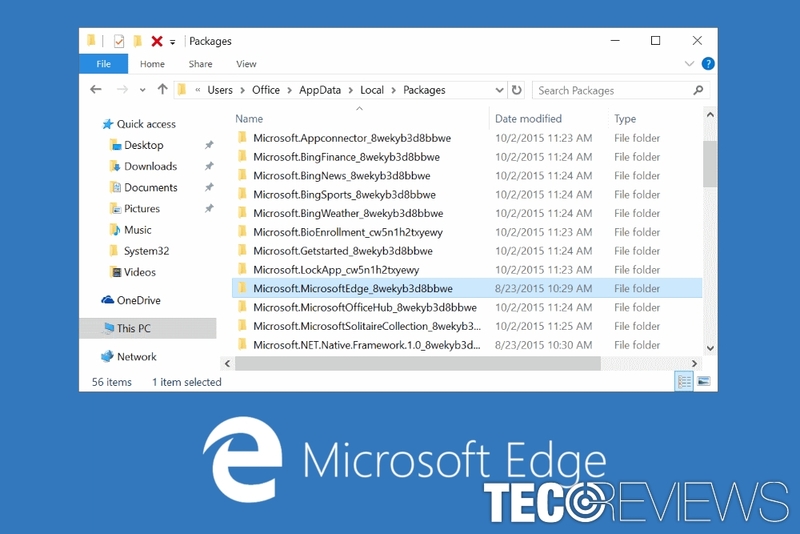 Find Microsoft.MicrosoftEdge_8wekyb3d8bbwe folder and delete it. Windows might deliver confirmation dialog. To confirm the deletion click Yes. Folder’s deletion might take about 10 minutes. When it’s over, you might receive another confirmation window that asks if you really want to move this folder to the Recycle Bin. Click Yes. The process will take 10 more minutes, and you will receive another confirmation window. This time you will be asked, “Are you sure want to permanently delete it?” Click Yes one more time. Close all the folders and programs and restart your computer. When your computer is rebooted, launch PowerShell as an administrator by following these steps: Type PowerShell in the search box -> right-click on the search result and choose Run as administrator option from the drop down menu. Wait until you receive “Operation completed for” message. 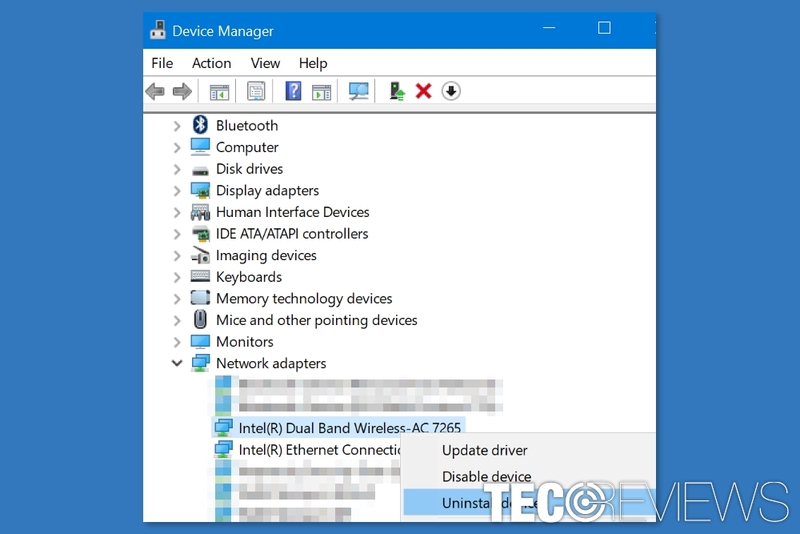 Uninstall Wi-Fi driver in Windows 10 to fix inet_e_resource_not_found error. Uninstalling wireless card on Windows 10 laptops seems to help to solve the inet_e_resource_not_found error in all web browsers. However, bear in mind that once you uninstall Wi-Fi driver, you will have to enter your Wi-Fi password. So, make sure you know it! Right-click the Start button and choose Device Manager. Expand Network Adapters to see the list of all network adapters. Find your adapter, right-click it and choose Uninstall device. Windows should reinstall it automatically. Connect to your Wi-Fi network and enter your password. Now the inet_e_resource_not_found error should not bother you anymore. The Microsoft Edge should work fastly and smoothly again. ^ June 13, 2017u2014KB4022725 (OS Build 15063.413 and 15063.414). Microsoft. The official support website. ^ Madeleine Dean. Windows 10 KB4022725 bugs: Reboot loops, black screens, slow PC, and more. Windows Report. Windows 10 and microsoft news, how-to Tips. ^ Error Code: INET_E_RESOURCE_NOT_FOUND. Microsoft. The official website. ^ Christian Huitema. Building a faster and more secure web with TCP Fast Open, TLS False Start, and TLS 1.3. Windows Blogs. The official Microsoft Blog.